This tribute to Marie Curie, the only person ever to win Nobel Prizes in two different disciplines, is sure to be a hit with your science-loving Mighty Girl! Curie is one of the most accomplished scientists of the 20th century and pioneered research into radioactivity. 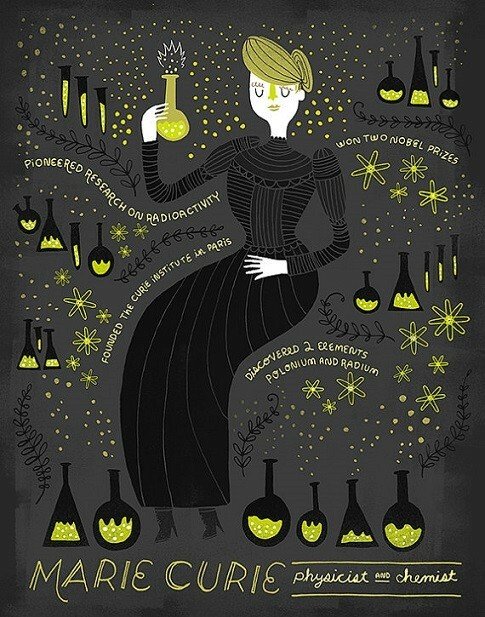 This poster is part of a Women In Science series by artist Rachel Ignotofsky. It is available in 8X10 and 11X14 sizes and is printed with archival quality ink and paper. 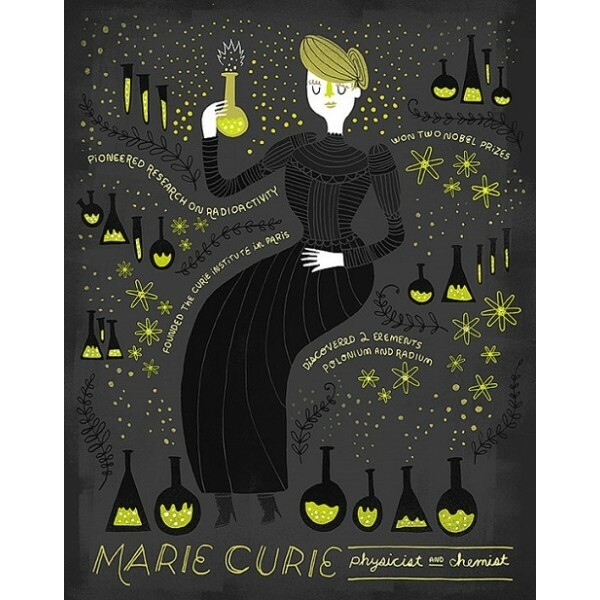 For more products featuring this groundbreaking scientist, visit our Marie Curie Collection.